I'm super excited to have won my first award on this blog. 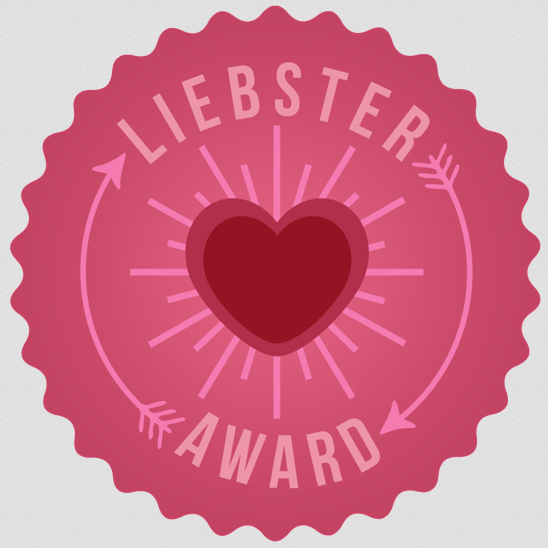 The Liebster Award, is a blogging award which is given from one blogger to another. The award is given to up and coming bloggers who have less than 300 followers. The word "liebster" in German means "favourite", "dear" or "beloved." 1) How/why did you start blogging? I started blogging because I love beauty and talking. I read/watch a lot of beauty blogs and vlogs, and then one day decided to become a more active part of the community, so took the plunge and the rest as they say is history. I envision a LAM reader to be a female adult in her twenties, who has an interest in either one or all of the following: black history, beauty, christianity, books, news (showbiz, world/current affairs). 3) What's your favourite outfit? Any outfit that falls into the #AllBlackEverything category. When all else fails, just go black. Black never fails. 4) What's your favourite quote, and who is it by? This is quite a tricky one y'know. It's a toss up between Marianne Wilson's: "Our deepest fear is not that we are inadequate. Our deepest fear is that we are powerful beyond measure..." & C. J. Allen's "As a man thinketh, so is he". I'll be doing blog posts on both quotes in future. 5) What's your favourite colour? Blue in general. In clothes, burgundy, black, and tan. 6) Who was the last person you texted? 7) What's your favourite 'thing' atm? "Scandal". Need I say more? Who isn't watching this programme at the moment? 8) If you could meet anyone (dead/alive) who would it be? Any black rights activistst. I would have loved to have met Malcom X, or been alive in his time. That man is a legend. 9) What's your favourite book? You can't ask a true book lover, their favourite book- there are far too many to choose from. Malorie Blackman's "Noughts and Crosses" quartet was pretty amazing. I really loved Penny Vincenzi's trilogy and the Babyfather series by Patrick Augustus was (and is) great. 10)What has been your proudest blogging achievement? It will sound corny but winning this award has probably been my proudest achievement to date. Before I go, I'd like to also nominate Adija, Myra, and Demi. I'd also like to say a special thank you to Adija for nominating me, and like to take this opportunity to nominate Adija to accept the award from me in return. FYI, you must answer 10 questions in total for your award. I've highlighted 5 of the questions I'd like you to answer in red. You can pick your remaining 5 from the internet. Pick 3-10 people you'd like to nominate for the award & make sure they each have less than 250 followers.